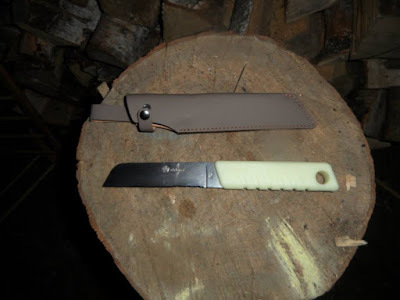 Don`t get me wrong: A good knife is an essential part of any survival gear. 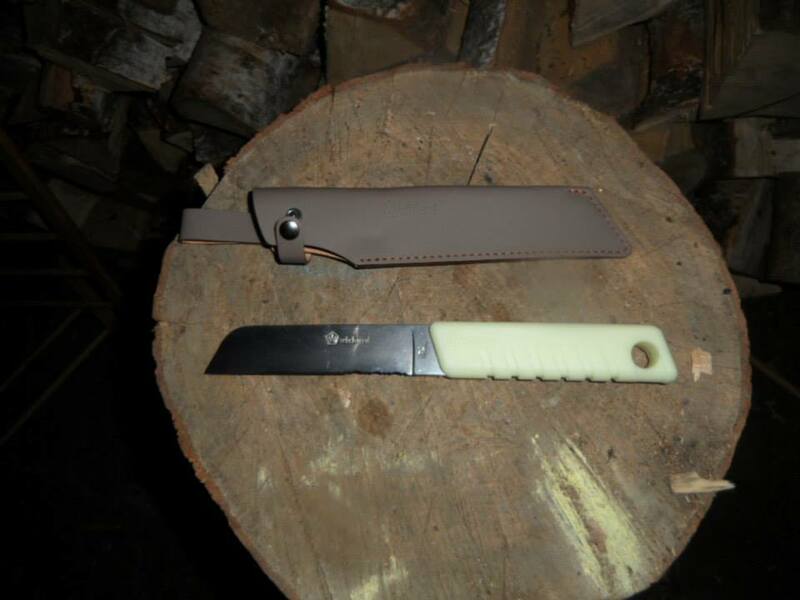 But personally I don`t quite understand the obsession with knives...for me a knife is a tool but not much more. 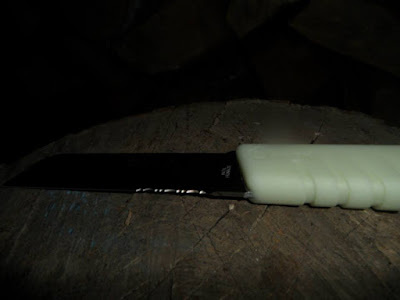 I need and use knifes for my professional life on board a SAR (Search And Rescue) vessel and I also own other knives: But apart from my over priced SwissTool (which I barely use) they all are working knifes. A thick, sharp, full tang blade. What`s not to like? our Rescue Crafts air chambers by accident. Ups! 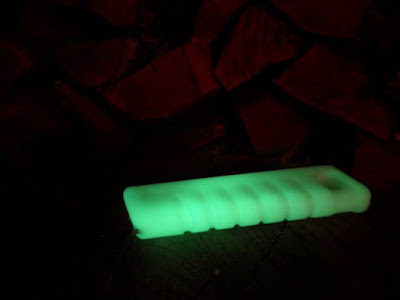 The second best feature: The handle glows in the dark! 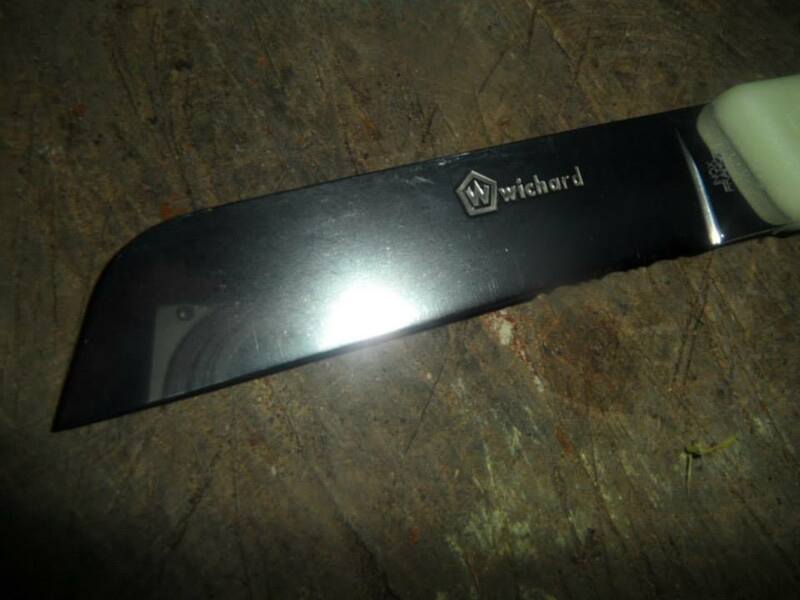 A better/closer picture of the blades serration.